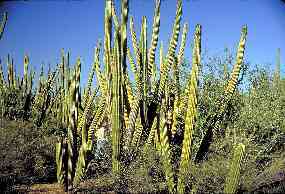 Residents of the United States tend to think of organ pipe cactus as a desert species to be sought in the National Monument that bears its name. 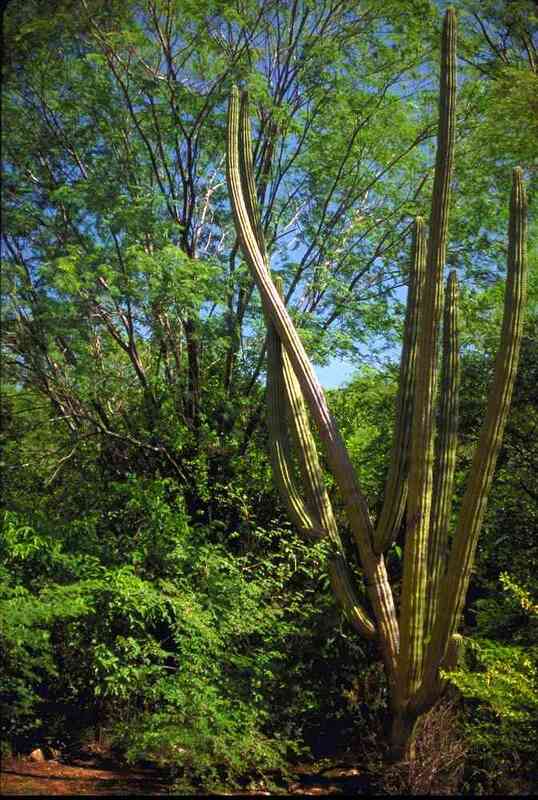 In fact plants of this species attain their greatest density in the coastal thornscrub of southern Sonora. 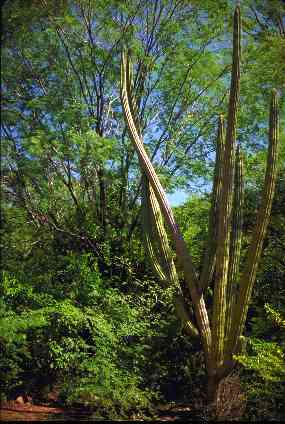 The species also occurs in tropical deciduous forest; here the plants may grows quite tall, but are seldom common because of competition with trees. 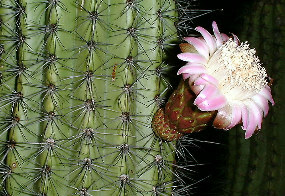 The flowers open at night and are pollinated primarily by nectar-feeding bats. 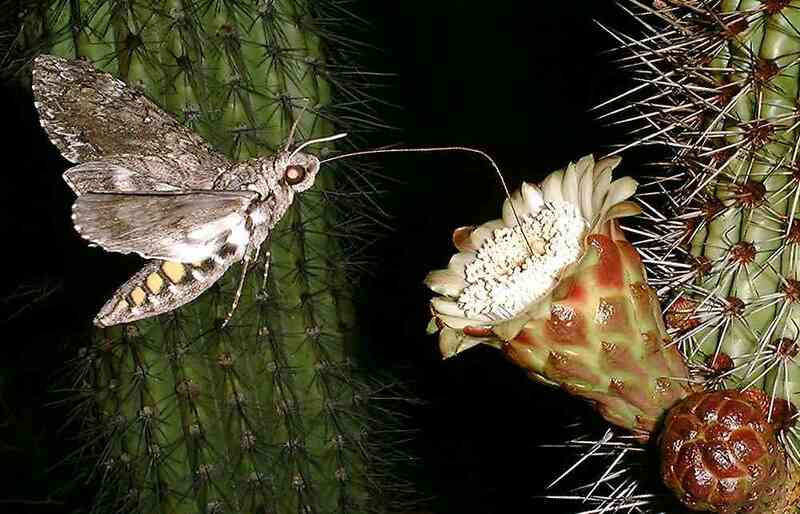 The bats are also major consumers of the fruit and effective seed-dispersers. Several species of birds eat the fruits and disperse seeds. 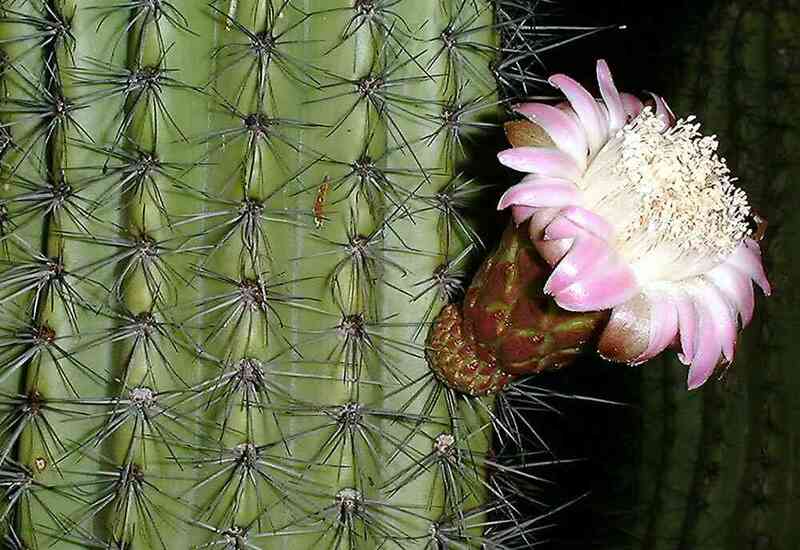 People also relish the fruit, which is one of the tastiest cactus fruits in the Sonoran Desert region. 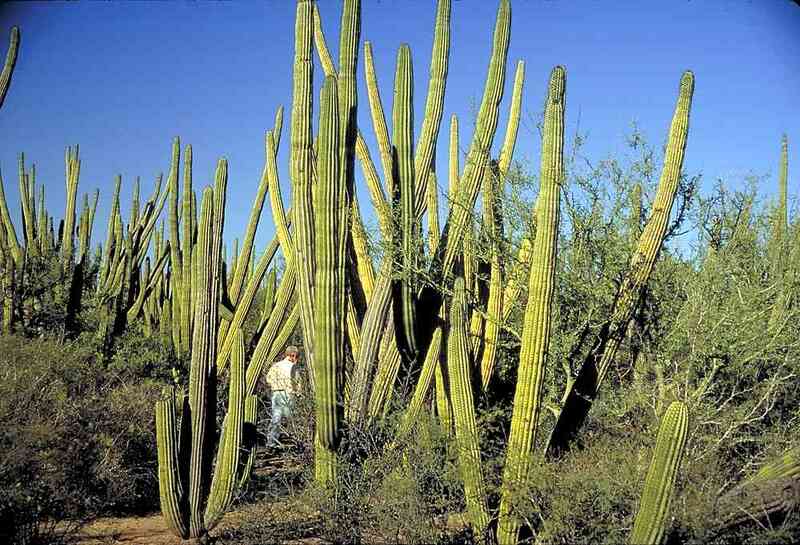 The dense groves of pitahaya dulce on the coastal plain of Sonora are commercially harvested on a small scale by the Mayo Indians. It must be consumed quickly because it does not ship or keep well.